With bookshops crammed with World War One titles, it is refreshing to come across an author who has chosen to present his contributions from a refreshingly different angle. 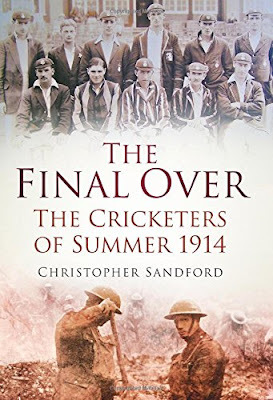 One that nonetheless delivers to the reader, the shattered hopes of a generation of cricketers; who's outlooks, aspirations, ambitions and dreams fall victim to the horror and slaughter of the great war. 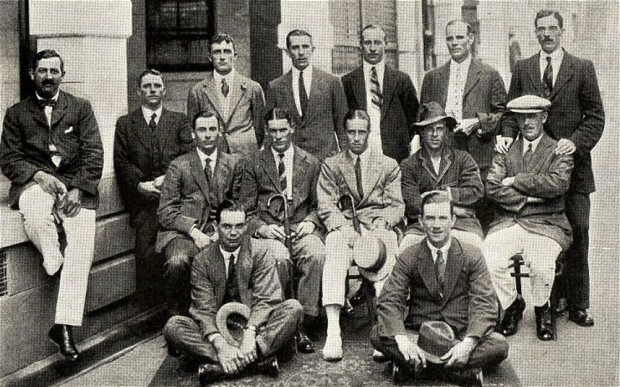 August 1914, often romanticized as 'The Golden Summer', brought an end to the 'Golden Age' of many things. Including English cricket. At least 210 professional cricketers (out of a total of 278 registered) signed up to fight, of whom thirty-four were killed. However, that period and those men were far more than merely statistics: here we follow in intimate detail not only the cricketers of that fateful last summer before the war, but also the simple pleasures and daily struggles of their family lives and the whole fabric of English social life as it existed on the eve of that cataclysm: the First World War. With unprecedented access to personal and war diaries, and other papers, Sandford expertly recounts the stories of such greats as Hon. Lionel Tennyson, as he moves virtually overnight from the round of Chelsea and Mayfair parties into the front line at the Marne; the violin-playing bowler Colin Blythe, who asked to be moved up to a front-line unit at Passchendaele, following the death in action of his brother, with tragic consequences; and the widely popular Hampshire amateur player Robert Jesson, whose sometimes comic, frequently horrific and always enthralling experiences of the ill-fated Gallipoli campaign are vividly brought to life. The Final Over is undoubtedly a gripping, moving and fully human account of this most poignant summer of the twentieth century, both on and off the field of play.